"Had a fantastic experience with booking the Snow Queen for a Birthday party! The whole party was talking about how professional, kind, & how great she was with the kids! She stayed in character the whole time & the kids adored her! We loved the fun games & she kept the party moving so smoothly! Will definitely book again in the future!" "My business loves using Magical Moments for our events. They are very respectful and stay in character the whole time. Always easy to contact and communicate with! Would definitely recommend!" "The Snow Queen and Tink came to our daughter's party and it was truly a dream come true for her!!" "We hired The Snow Queen to come to Grover Ice rink and she came out and skated with the kids making sure to spend some time with everyone and did sparkle temporary tattoos with them too. Fantastic personality and the kids loved it! Will be hiring again!" "The customer service I received from Magical Moments was top-notch! 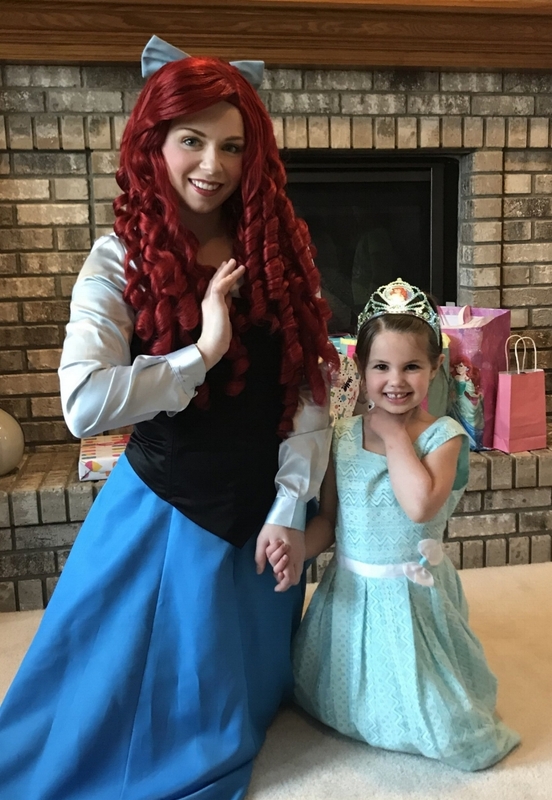 I booked ‘Ariel’ from the Little Mermaid for my granddaughter’s 5th birthday party. The costume was on-point, her interaction with the children was fun, kind and caring. We communicated easily via email and my questions/concerns were always answered in a timely manner. Magical Moments was very accommodating and made the event extra special! I highly recommend this company!"